Please follow these instructions for setting up your files for output. We only accept Print Ready, Color Separated PDF's. 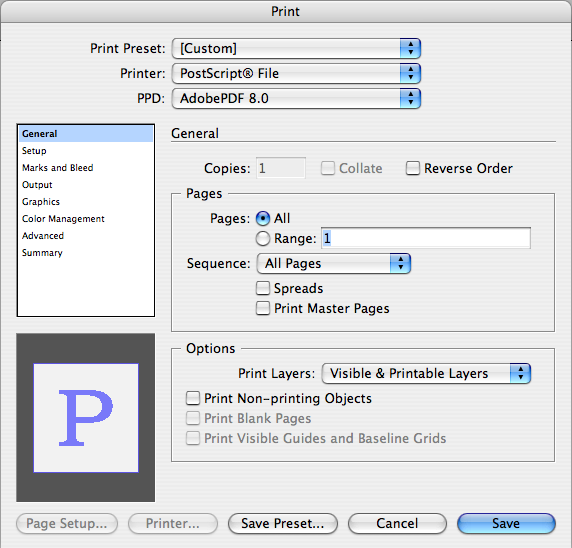 The instructions below will guide you through the process of creating these PDF's. If you have any trouble whatsoever, please call us and we will be able to assist you with the file setup. You can also download a printable version of the file prep instructions. We have put together a list of file preparation tips that must be followed to guarantee that your plates will output properly and without delay each and every time. Files that do not meet our file preparation specifications will not be accepted, so please see below and contact us with any questions you may have, we are here to help. 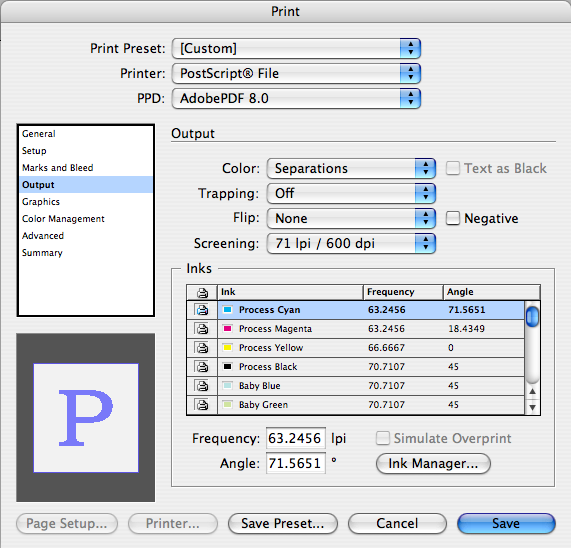 **By converting your file into a print-ready, color-separated PDF you will be able to get a preview of your printing plates because each page in your color separated PDF represents one printing plate for output. You will be able to view your own color separations and ensure all colors are separating as intended, make last minute corrections, and delete unwanted pages/plates, all before you have even turned over artwork. This important step will save you time and money. You will want to proof each color/page carefully before sending, as these files show exactly how your artwork will be translated into film and ultimately, your plates. Our film format is set up at 13.18 width. The length of film can be as long as needed. Please set up your document (Illustrator or InDesign) size at 13.18 width. Your margins need to be .5 top and bottom and .25 side margins. (Your artwork must fit within these margins). place all files in an Illustrator or InDesign document. make sure that all colors in document are PMS or SPOT colors. all crops and anything you want to show up on all plates must be assigned the Registration black shown in the swatch palette. 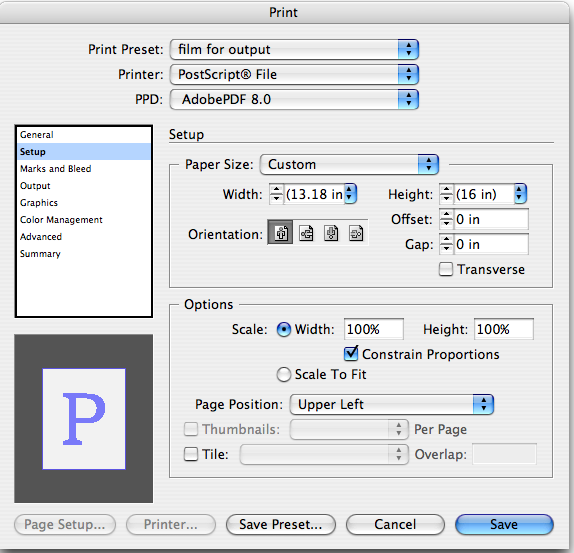 Your paper size should be set to Custom. This will automatically change to your current document size. The following are screen shots are from InDesign CS3. Other programs or versions may vary. This will NOT be the file you submit (there is one more step). Now open the “.ps” file with Acrobat Distiller. This will convert your file into a PDF. Open your PDF file (in Acrobat) to check if your file has separated correctly. A standard color composite PDF at full scale 100%. An actual print out of this file will be used and compared with the film that is output for one final step in the proofing system before outputting your plates. Ensure all colors are spot colors, not CMYK or RGB. All files need to be set up at a maximum of 13.18 inch width. Length can be unlimited. For steel backed plates please allow .5 inch around the edge of each plate/artwork for cutting purposes (see example). There must be at least 1” between each plate/artwork). For film backed plates please allow .25 inch around the edge of each plate/artwork (see example). There must be at least .5” between each plate/artwork). We output all files at 150 LPI. If you want a different LPI that you are used to, please specify and we will output your files accordingly. 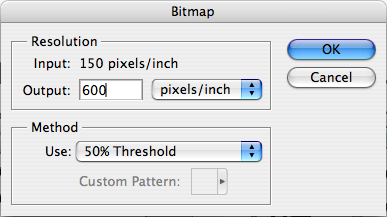 Grayscale or halftone images and artwork with screens will yield a visible dot pattern with a rasterized edge. Please follow this chart for the different types of plate material. We cannot be responsible for something not plating if anything is smaller /thinner than the specifications below. If you want to include crop marks on your plates you must create them in your design program. If the crop marks do not appear on your PDF then they will not appear on your plates. A special cutter is need to cut all steel backed plates therefore, we will cut all steel backed plates before shipping to ensure a perfect plate. Please send us a cutting diagram so we cut them correctly. If there are more than 10 plates in the cutting diagram, a cutting fee may apply. We will not cut film backed plates because it’s easy and you can do this with an Xacto knife, razor blade or scissors on your own. If there are any problems with the files, this will delay the turnaround time of your order. Please keep this in mind when submitting your files.